It’s going to be Brittany Bowlen but she’s only 28 so it’s going to be Joe Ellis as de facto owner for the foreseeable future, which should have everyone concerned. 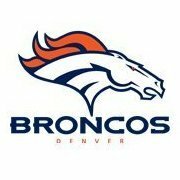 That said, I’d love to see Peyton put together a group of backers and buy the team, perhaps offering Brittany Bowlen a stake in that group. That way, Mr. B’s wishes could be fulfilled, at least to a small extent, in that someone from his family has partial ownership of the team. Peyton could serve as the president of the partnership and represent the team at league meetings and all that stuff. He could even eventually get one of the owners spots on the competition committee, when Elway steps down because he was one of the GM spots on that prestigious committee. Also, I hope that Peyton does that. I don't think that this situation can go on for too much longer. The stadium doesn't even have a sponsor at this point. I believe she got diagnosed with Alzheimer's too. I don't think so. She just had her credentials attacked by Elway and Joe Ellis. It's possible that she went public because she may want to force something to happen (i.e. taking Ellis to court). Beth Bowlen is from the first marriage - and from what I read, there appears to be a 'divide' between the kids from the first and second marriage. I suspect that Ellis (and Elway) expect that if she gets control she will clean house at the top of the organisation. No, that’s Annabelle Bowlen, Pat’s wife. Beth is from his first marriage and Brittany is from his marriage to Annabelle, like JRG said. But, per the terms released to public about the requirements for taking over the team, it appeared that Beth met the qualifications. When they (Ellis) attacked her it was one of the more embarrassing moments I’ve seen from this franchise in my lifetime. Ellis came off looking both petty and condescending and then Elway released a statement supporting Ellis. I don't get how she isn't fit to be an owner to carry on the Pat Bowlen legacy. If they say she doesn't know anything about football...I am assuming she's been around it her whole life...I think she would serve the Broncos well...why not? Name just popped into my head as a HC candidate because we are playing Arizona and I thought he was still their coach...what about Bruce Arians? He retired due to health reasons. I’ve said it a few times, but I like the candidate Arians lobbied for to replace him in Arizona, James Bettcher. He was Arians DC and is now the DC for the Giants and he has that pitiful Giants defense playing way over their heads. It’ll be tough not to go with an offensive mind, IMO, especially if this team takes a young QB. I think he'd have to pitch a nice offensive staff to get any consideration from elway. The problem with hiring a defensive coach is your choices offensively are usually then limited to a pool of Musgrave-like guys who are experienced and competent but not transcendent enough to elevate their profiles to HC candidate levels, and younger guys who have never run an offense before. I believe the young talent + need at QB dictates getting a young, innovative offensive mind to run the show. Which would pair well with a veteran defensive guy who is going to bring some intensity and fire to a unit that has flat out quit at various times the last two years. More and more offensive guys are getting HC jobs, so the pool of potential defensive coordinators should theoretically be deeper too. Let's face it, the HC/OC we hire is also going to be directly tied to whatever QB we hitch our wagon to (Kelly, 2019 rookie, 2020 rookie if we piecemeal another year <ugh, but 2019 draft is also iffy at the top, and Elway will be hard-pressed to not go early if Kelly isn't the guy>). It's really hard to justify a D-minded HC when any OC we tie our wagon to will likely be ready to be elevated to HC if they are successful here. It's no coincidence CHI hired Matt Nagy to bring Trubisky along, and CLE brought in Todd Haley (who seems like the guy who will succeed Hue Jackson), while NYG brought in Fritz Shurmur for their 2019 guy. Meanwhile, NYJ has Todd Bowles on the hot seat, and no doubt they will look to an O-minded HC with Darnold next year if he doesn't survive. It's also what made ARI's hire of Mike McCoy so ugly - it seemed so uninspired from the get-go. And that's certainly worked out exactly as most ppl thought it would go (McCoy seems like the next OC to go). The guy who's going to get a TON of run is Todd Monken. He's turned that TB O around, after years of Dirk Koetter becoming uber-conservative (not like he was in his ATL OC days). Now, Koetter is on the hot seat, and I could see Tampa promoting Monken to HC, because he's done an amazing job with that O. On the flip side, the guy who looks overmatched as OC is Matt Lafleur - who spent the last 2 years with Shanny in ATL, then McVay in LA. But he hasn't been able to bring anything to make Mariota even decent. That hire I whiffed on, I was really high on TEN moving up in O abilities. I fully understand going the offensive minded HC route. It’s the direction this league is going in and pairing a young QB with that is the way to go. Contrary to that, though, is playing defense in this league is becoming increasingly harder. Having a creative defensive mind may not be a bad thing 3-5 years from now. It’s going to take not only exceptional talent, but exceptional scheming to keep up with the rule changes and speed offenses are incorporating these days.